They always say smart investors buy low and sell high. If you take this as the unwritten law of stocks investment then ideally Kenyans should be flocking stocks market with buy orders. Truth be told a number of investment blunders coupled with naivety have made people to be fairly risk averse in the sense that they cannot stand the thought of potentially losing money through investing. The outstanding cases being the Safaricom IPO and the pyramid schemes debacles. Nothing rides the public interest in investment more than the notion of making lots of money within a short period of time. The unprecedented participation of domestics investors on Safaricom IPO, was based on the expectation that the Safaricom share prices would rise dramatically once the trading begins. Many months after that and they are still waiting, at the same time doing the market the honor of staying away from it. NSE has become to be like a double-edged sword at the moment, share prices are low, some to the level that may represent a bottom, but with majority of Kenyans disappointed they are hesitant to jump back into the market. Who wants to buy Safaricom shares at Kshs.3.65 while there is still possibilities that it might as well go down further? It is widely assumed that the trick is to get Safaricom shares on winning trend and everything will be fine in NSE..
Those who invested through Discount securities were told to wait a little longer to allow the audit process to be completed, although there is suspicion that after Nyaga investors receive their compensation latest by October this year, there might not be enough cash left for Discount Securities victims. The clear word coming out in the course of last week was the announcement that Discount Securities investors were to be moved to other stocks brokerage firms. NSE announced sometime back that it will sell its shares to the public earliest by 2011 but will conclude the legal process of demutualisation? separating ownership and trading rights? by the end of this year. The year end is not far and I am afraid nothing seems to be happening on this front although I stand to be corrected. All that said, it is not all bad news as far as the reforms of the capital markets are concern. 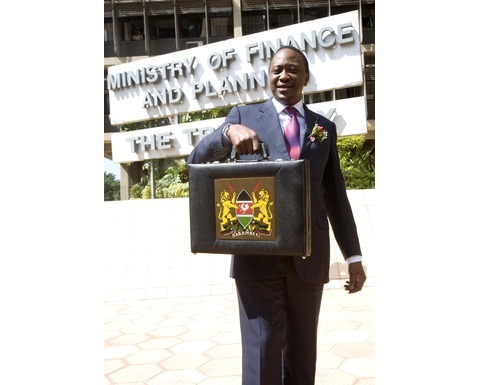 The budget speech by the Finance Minister Mr. Uhuru Kenyatta last month had some great proposals specifically for the capital markets. Adequate capitalisation is generally considered crucial to a business’ financial stability since management can draw from the capital account to cover for operational losses during difficult times. The objective of financial statements is to provide information about the financial position, performance and changes in financial position of the stockbrokers, this will help investors to decide which brokerage firms are financially stable. The regulators will also use this to gauge the performance of each firm in the basis of the annual license renewal being carried out . 4. 4. The taking up of professional indemnity that is not less than five times their daily average turnover. On the other hand CDSC is currently getting the email addresses of the investors with the aim of sending them regular reports on their CDSC accounts valuations and standings. There is also talk of NSE installing standardized back office system for its members, to act as a link between the automated trading system and the Central depository.